Customer Testimonials for Signature Motor Cars, Inc.
Buying a car from Brian was a different experience. No haggling, no pressure, just good customer service. His prices are so fair that I didn't even feel the need to negotiate. I have had my car for a few days now and love it. I am very happy with how stress free the whole process was. I would highly recommend Signature Motors to anyone. Our treatment couldn’t of been better! Right down to the last day(at no extra cost to me) Brian kept making everything just right! He truly treated us like we were family! 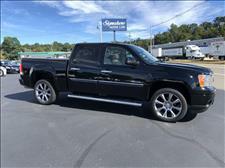 I purchased a used GMC Denali pickup truck from Brian recently and the process couldn't have been simpler. I saw the truck on-line and reached out to Brian soon after - he responded immediately and suggested that I come by to take a look, so I did. Vehicle was low mileage and in close to mint condition & I thought the price was fair. Brian recommended that I take the weekend to think about it (no pressure! ), but I bought it on the spot after taking a nice test drive. He got it registered and even helped me secure insurance by calling my agent with me from his office! In the end I was going to take an Uber from Middleton to Signature Motors Cars to pick up the vehicle when it was ready...but Brian said he'd deliver it to my home, and he did! Great experience overall! 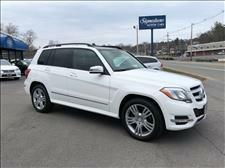 I bought a used GLK350 from Brian this Monday. We saw the car a week ago and my wife had to have it. She went to the dealer test drove it and wanted it. I returned first thing Monday ready to make the purchase. I spoke to Brian and even though he was leaving for a vacation the next day he was able to put me in the car that morning and was able to get it registered that day. There was an issue with my e-mail and Brian actually was able to send me my paperwork from where he was on vacation. Great customer service I will buy my next car from him when the time comes. I bought my first of 10 cars from Brian in 1997. It was S300 Mercedes that was mint. I fell in love with the brand and the dealer. Since then I've bought 5 more Mercedes Benz automobiles a Jag, Volvo Convertible, Nissan Altima for my sister and an Infinity Sports model. He never disappoints. Brian Gideon earned my trust with fair deals, spectacular customer & vehicle service. Now we share a priceless friendship. 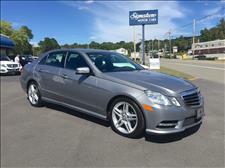 You can't find a better value for top-of-the line pre-owned luxury cars anywhere. 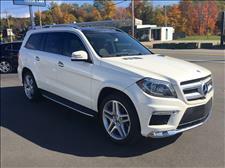 Today he delivered another Gem in my 2015 GLK 350. It's a Sweet Sled! Trust me, you can count on getting the value you invest for from a Signature Motorcar. The owner Brian took care of me and was very easy to deal with. Great communication the entire (very fast) process. He was up front and made the whole car buying process easy. They registered the car and got the sticker very quick. I would recommend if you are looking for a quality used vehicle go see Brian he will hook it up! I was recommended by a friend He said he had a car a salesman that could get you a used car with low mileage that was almost new for a great price which I thought was BS. 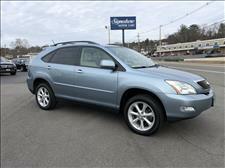 I met with Brian and he told me he could and he did He found me a great car within the price range he gave me. 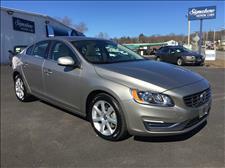 I will never buy a new car again, 2017 Volvo Momentum 9,000 Miles . 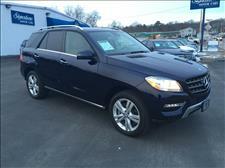 I came in a week ago to view the 2013 Mercedes GL450 and it was in brand new condition inside and out. it was impressive, so was Brian he had a lot of knowledge of the previous owner and the car itself, he showed me a lot of features that the vehicle had. I was sold from there and the purchase process was as smooth as the car rides . When I came to pick up the car he took the time to set a lot of the important settings that the car had and even added a cool feature to the car. It was a pleasure dealing with Brian!! This is the place to buy your next vehicle. Brian provided exceptional service. He has an outstanding collection of vehicles. The buying process was smooth and professional. Brian is extremely knowledgeable about the cars on his lot. I would recommend SMC to anyone looking to buy their next vehicle. I will go nowhere else. I am extremely pleased with my purchase. I look forward to purchasing my next car from Brian in the future. We wanted a particular make and model. Brian found an especially clean one very quickly. Pricing is right on, everything works very smoothly, much less hassle than a big dealership. Couldn't ask for anything more. I've known Brian for over 10 years and have bought several cars from him. He is extremely knowledgeable about all his cars and prepares them with extreme care before putting them up for sale. His prices are competitive and fair. He also adds improvements to the little things I didn't even think to ask about. He wants a happy customer. 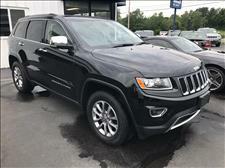 Just purchased our 7th vehicle from Brian. We would not go anywhere else, because you can't do better than Signature Motor Cars . Price, service & professionalism keep bringing us back. Thank you Brian for all you do! Best car buying experience we have ever had. Brian was great to deal with. The car was exactly what we were looking for. It was clean and in great shape when we picked it up. A friend suggested I see Brian at Signature Motors, I found him to be very helpful and informative. All of Brian's cars are of good quality and in pristine condition. Very satisfied with my purchase. 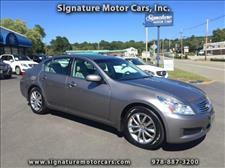 I highly recommend Brian and Signature Motors to anyone looking for an exceptional used car. 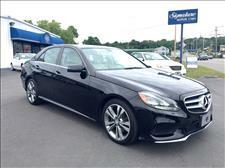 I would recommend Brian At Signature Motor Cars to any one Interested in purchasing a pre-owned high end vehicle. Happy Customer !!!!!! First of all the cars are absolutely high quality & it is very difficult to choose because of the collection of clean low mileage vehicles. Brian will not only assist you with his knowledge of the cars but will search for others if you do not see what you want they will get you the vehicle you desire. Recently purchased my third car from Brian. I went in, told him what I wanted, and within a few weeks he had found it. Brian is easy to work with and goes the extra mile. He even spot washed my car the day I picked it up. We will definitely be back. 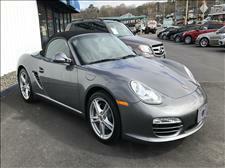 I wanted a newer car and have purchased 10 plus cars from Signature Motor Cars in the last 25 years. I have had excellent experiences dealing with Brian. My wife and I are very please with the cars we now own. 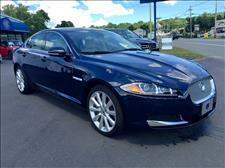 We will return to Signature as Brian is very easy to deal with and has excellent quality cars. 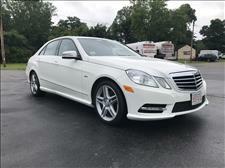 If you are looking for a high quality car, honesty and integrity Signature Motor Cars is The place to go. They take care to ensure that each step of the buying process is pleasurable and that you end up with a car that is right for you. This is our family's 5th car purchase from Signature Motor Cars. I wanted a specific car. I wanted to pay a specific amount of money. I called Brian Gideon (always nice to deal with an owner of the company) and 3 days later I had exactly what I wanted (actually better than what I wanted...), for exactly what I wanted to pay!!!! He took my car in trade (and actually gave me a fair price...), arranged for financing for the new car, got the new car registered and inspected, and handed me the keys! Done!! Buying a car is supposed to be fun. Dealerships make it torture, and you always feel abused. 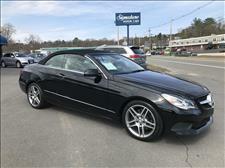 If you want the perfect car for the perfect price, the perfect place to buy is Signature Motor Cars In Topsfield ! As a single woman, I dread buying a vehicle from a dealership. Instead, I followed a suggestion to purchase my next car from Signature Motor Cars . I can't express how easy Brian made the entire transaction with his fabulous customer service, the ease of the transaction and his follow-up. Ladies, for your next vehicle purchase, visit Signature Motors Cars. You will not be disappointed. Great Place To Purchase Your Next Vehicle !!!!!! 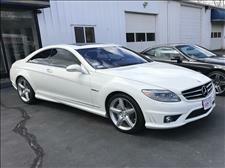 This Will Be My 6th Vehicle I Have Purchased From Brian At Signature Motor Cars . What More Can I Say It's Great For Sales also Great For Service Which Is Were We Service All Of Our Vehicles . Very Knowledgeable , Very Professional, Very Reasonable . Signature Is The Place To Go . We had a great experience with Signature Motor Cars and Brian. It was a super easy transaction. He is willing to go above and beyond for you to feel you are getting the best product. We found the passenger door lock wasn't working, he and his team fixed it without hesitation at his expense. I just purchased my second vehicle from Brian at signature motors cars. 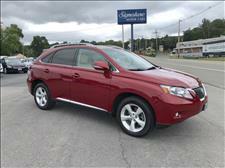 Both cars had very low miles and in excellent condition and I have had nothing but a great experience. We really lucked out finding our dream car. 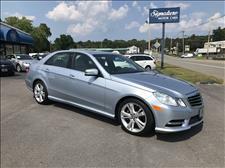 After going to the Mercedes dealer and another large used car dealer, we stopped in to see Brian at Signature because our brother has purchased several used cars from him. What a joy to buy a car- honestly. He answered our numerous questions, gave us a full rundown of the car, but with no heavy sales pitch. That is what was so refreshing. I can't recall a person who is more knowledgeable about Mercedes, financing, etc. He even connected my iPhone to the Bluetooth in my new car. If you're interested in a good used car and want to count on and trust a dealership, nothing beats Signature. I just purchased my second car from Signature. Both have been excellent cars. I appreciate the care that is given to the cars and the honesty on the part of Brian about the cars. He knew what we were looking for based on previous conversations and had just the right car in mind. Everything was upfront and simple, and we're very happy with our new (used) car. This is the 27th car I've purchased. Most new and used cars have some issues. The buying process should be easy and it was, but it is after the sale that a dealership makes its bones. Brian couldn't have been more honorable when we explained our issue, he didn't make excuses he just took care of it. If you are torn between buying from 2 dealers, you won't go wrong with Brian. First time purchasing a car from Signature Motors. Very pleased with Brian's personal attention and the condition and price of the low mileage used car. No pressure and friendly service are a definite plus. 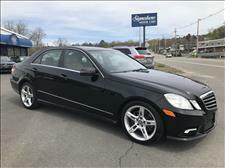 Purchasing a vehicle from Brian at Signature Motor Cars Inc, In Topsfield was the best car buying experience I have ever had. 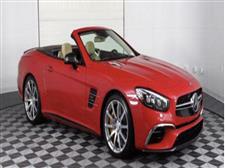 Signature Motor Cars sell niche high quality brands. Most one owner in like new condition at firm but very fair prices . Brian knows the car business very well and goes the extra distance to make you very happy. He is a breath of fresh air that so many of us dread. You will never purchase from a new car dealer again after purchasing a vehicle from Brian at Signature Motor Cars . I recently purchased a low mileage used car from Brian the owner. His cars are fairly priced and immaculate. What really stands out is his personal attention to detail, and knowledge of his inventory. He will treat you right, give him a try. 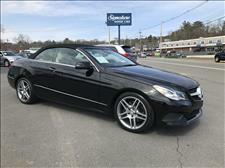 I just downsized from an E350 Wagon to this beautiful, low mileage 2013 C300 with 24,000 Miles . Brian has the knack of putting people in the right vehicle for their needs. I can't begin to express how comfortable we are when we buy from Signature Motor Cars. The level of trust has been earned over years of top quality, low mileage cars, caring customer service and Brian's readiness to go way above expectations. 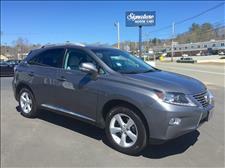 You can't find a better experienced pre-owned car company. Thanks again and again! I was referred to Brian by my Father-in law when I was looking for a used vehicle. My Father-in-law has purchased his last few vehicles there and will only go to Brian. I ended up trading in my current vehicle for another SUV. I am not lying when I say this was the easiest process I have ever dealt with in my entire car buying life! Brian was honest, had good suggestions, far from pushy and extremely helpful. The process took less than 1 hour compared to hours upon hours spent at a large dealership. Not something you normally get at a dealer! The vehicle I bought from him was immaculate. You can tell he is very picky about the cars he sells on his lot! I would highly recommend him to anyone looking for a used car at a great value and without issues. Honestly, buying a quality used car from Signature Motor Cars was one of the easiest things I've ever done. Brian takes all of the headache out of what can otherwise be a tedious and painful process. Not only did he know what I wanted and delivered on it within my parameters but he also handled everything for me from beginning to end and I couldn't be happier. I love my gently used "new" car! I had been looking for a lightly used car and have always been skeptical of some dealerships, and quite honestly, the whole process. 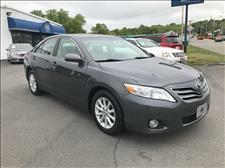 Am I getting a high-quality car, good service, at a fair price? I always felt like I was getting taken advantage of. Well, I have to say that working with Brian at Signature Motors Cars was nothing like that. He was extremely helpful in talking through my options, helping me purchase the right car for me, and being open and honest throughout. And, the process was smooth- from filling out the paperwork to actually picking up the car, Brian was respectful of my time and was full service. 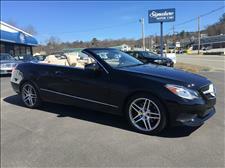 I look forward to buying my next car from Signature Motors! Brian, Thank you for all your support and being so helpful. I walked in not expecting to purchase an automobile and walked out with a beautiful car that looked brand new,it was clean very low mileage and you even drove my other vehicle home and was a great person all around.I tell anyone wanting to buy new to go to Brian at Signature Motors and you won't be disappointed. 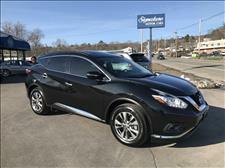 Brian, You made car buying process very simple, very knowledgeable on all aspects of buying, selling and use of vehicle. Can't thank you enough, for you every attention to detail. Will certainly be back. 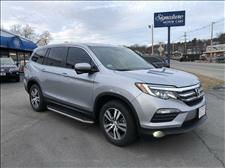 After going to multiple dealerships and finding nothing more than overpriced, substandard vehicles and poor customer service, I had almost given up on purchasing another SUV. By chance I stumbled upon Signature Motor Cars and am beyond happy I did! The level of service that the owner Brian provides, is in a class all by itself. His attention to detail, true high quality vehicle selection and topnotch customer service, was a breath of fresh. I have purchased more then ten vehicles at different dealerships over the years and this was by far the best experience I have ever had hands down! At no point did I feel pressured or uneasy. I felt more like I was spending time with an old friend instead of buying a car. Brian takes extreme pride it what he does and it shows in every aspect of his dealership. He is a true professional. If there were more dealerships like his around, the world of car buying would be a much friendlier place. I will without a doubt be coming back again and again. If you want to save a lot of time and headaches, stop in and see for yourself. You will not be disappointed. While shopping for a car can be a stressful experience, Brian at Signature Motors made it easy. We arrived at his lot based on the beautiful cars that he had in his inventory. We weren't disappointed at all on the quality and the appearance of everything that was there. We fell in love with one car in particular, but, as good consumers, decided to think about it. 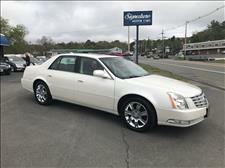 We looked at several other car lots and talked with several other dealers and ended up going back to Signature Motors. 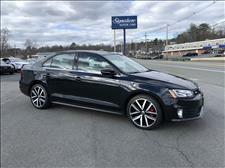 The car was well represented, it had features that we were hoping for, it was beautiful overall, and we were very pleased with the presentation and the quality conversation that led us to decide to buy from Brian at Signature. We drove home in a beautiful new car and are very pleased with our decision. First time buyer at SMC. I've driven buy the dealership for years and finally stopped in. Brian is a true professional and a genuinely good guy. He delivers exactly what he promised at a reasonable price. It was a pleasure doing business with Brian and I'm sure I will be a repeat customer! I bought and leased many cars in the past 40 years and my experience with Brian Gideon of Signature Motors was the best. 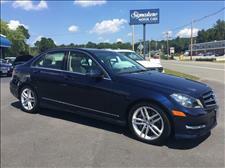 I was in the market for a Mercedes E350 class and saw just what I wanted at Signature Motors. Having shopped around to a variety of Mercedes dealerships and speaking to many sales people Brian out performed them all and offered me a deal I couldn't refuse. 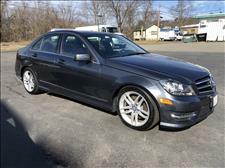 Brian's service and knowledge of Mercedes was excellent and made my purchase very satisfying. And because Signature Motors is conveniently located on Route 1 in Topsfield I stop by to see Brian on a regular basis and recently for an oil change. I highly recommend Brian and already sent a friend to see Brian on a Mercedes SUV he bought for his wife. I went to SMC for a used Mercedes (now my third time). Brian conducted thorough searches and kept me informed along the way. I felt like I was his only customer! Here is the thing about Signature Motor Cars, they make the entire process of buying a luxury car very straight forward, simple and fun. Brian and his team are very dedicated to finding the car that you are looking for, even if it isn't on their lot. Perhaps the most impactful part of working with Signature Motor Cars is their respect for your time. 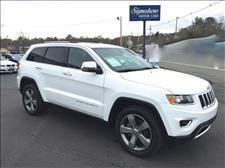 Purchasing a new car is a time consuming process and this team makes each step very easy. We have purchased all of our cars through Signature. 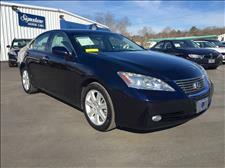 High quality, low mileage motor vehicles at fair prices, with an owner that stands behind every purchase. If Brian doesn't have the type of vehicle your looking for he will do his best to find one. The owner Brian Gideon was extremely helpful and great to work with. All the cars on the lot were super clean and worth buying. Brian was a huge help every step of the way. 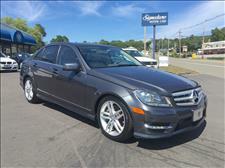 I am in the process of buying my 5th used car from signature motors after never owning a used car in my life before. To date I have been pleased with the process,the cars and overall experience. Brian Gideon's Signature Motor Cats is a totally fair, honest and reliable dealer in preowned cars. He is selective in selecting his inventory. He will also find whatever you are looking for. His has quality after sales service that is professional and dependable. 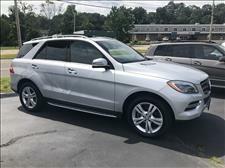 I've bought multiple used cars from Signature Motors and have never had a repair issue with any. Brian Gideon only buys the best of the best. 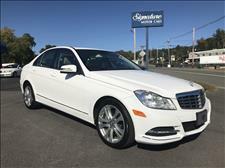 If you're looking for a low mileage luxury car at a very fair price, Signature should be at the top of your list. The buying process is painless without any hidden fees. I've recommended Signature to neighbors, family friends, and college roommates...none have been disappointed with their purchase.  I found Brian to be extremely knowledgeable, courteous, and available throughout the entire purchasing process. The choice of cars was excellent. Excellent experience here-I have bought several vehicles and find Brian Gideon to be fair and reasonable. If i am looking for something that isnt on the lot he locates it. The 2 to 3 year old space works well for me in terms of expense as compared to buying new. Signature Motors (Brian Gideon specifically) is a pleasure to deal with. I have purchased four used, high end cars from Brian and I can't speak highly enough about his commitment to his customers. I will go back when I decide I need another car. 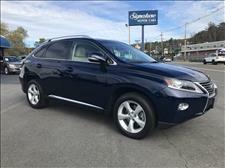 My wife and I were looking for a Preowned Lexus and met Brian Gideon over 10 years ago. He had a very good selection of vehicles, convenient location, good affiliated servicing but most importantly was very knowledgeable and courteous. We have since purchased other cars and are most happy with our relationship, referring friends and relatives to his Dealership. We were looking for a high quality E350, a few years old, low milage with specific color combinations and option packages. Brian found the perfect car that met every one of our requirements. The best car we own today and the best buying experience! We plan to buy all of our future cars from Brian and SMC! Great Car / Great Value / Great Experience! Brian and his staff were extremely knowledgeable. Brian was very helpful during the whole process, from the first interaction to the final sale and beyond! I had a little snag during the process (not his fault), went to Brian and it was ironed out within minutes. He knew what I was looking to purchase and found the perfect car in no time. If you haven't been to Signature Motor Cars your missing out! I will be a life long customer without question, best dealer around, hands down! Brian is a good guy, very approachable and knowledgeable. 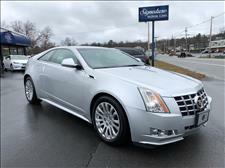 Facility is very nice with a great selection of late model luxury vehicles. Without questions the best dealership I ever shop at. 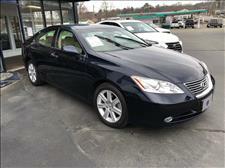 Brian and his staff were very helpful and found me my perfect car. The process was very easy and they walk me right it thru it in a very short time. Very comfortable transaction. My family and I have made new friends with Brian and we know we ll be back for our next car. 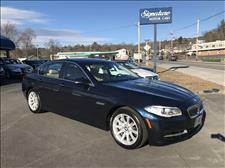 In the past I bought 3 cars from Brian Gideon of Signature Motors, A BMW, Audi and a Saab convertible. I couldn't be happier with all three purchases. If you go to Signature Motors and deal with Brian you will find someone who truly has your best interest at heart. Great cars, great prices and great service! All three vehicles I've purchased from Brian at SMC have been excellent. I have recommended him to friends who also purchased from SMC. 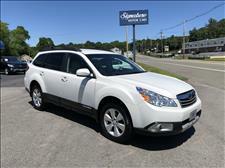 Brian's inventory is always excellent, both in terms of the quality of cars and the value. If he doesn't have the exact vehicle you are looking for he will find it. Very easy to work with and very knowledgeable. My husband and I have bought several cars from Brian at SMC. Every time the experience has been a total pleasure. Not only is the inventory of cars at SMC remarkable but Brian makes the experience of buying a car very easy. He listens to what you want, doesn't push you into something that isn't perfect for you, and has never sold us a car that had a single thing go wrong with it. Every car is truly like new. The prices are reasonable and the cars are gorgeous. 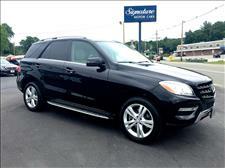 We also have our Mercedes SUV serviced at SMC. They do a fantastic job for a good price and I can always get in on a day/time that suits my schedule. I can't say enough about Signature Motor Cars. Brian and his staff were extremely knowledgeable. Brian was very helpful during the whole process, from the first interaction to the final sale and beyond! I had a little snag during the process (not his fault), went to Brian and it was ironed out within minutes. I live in Swampscott and during the winter i drive to the sunny Florida. Brian, as i told him, he knew what I was looking to purchase and found the perfect car in no time. If you haven't been to Signature Motor Cars your missing out! I will be a life long customer without question, best dealer around, hands down! Thank you Guys!!! Signature Motors is a first class operation. 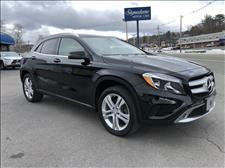 I am a longtime buyer of luxury cars, always new, until I began dealing with Signature Motors. Now SM is my go-to dealer. The inventory is pristine, and if you don't see what you want, Brian will find it for you on his national data base. I bought three top end cars from Signature Motors and couldn't be more pleased with the like-new condition and Brian's follow up to be sure I was more than happy with each purchase. On site service is outstanding and convenient. 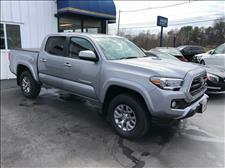 The pricing is more than fair, Brian is extremely knowledgeable, and the buying experience is easy and pressure free. I will never bother shopping anywhere else for a used car. 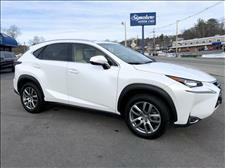 Very pleased with the Lexus I bought from Signature Motors. The buying experience was pleasant, and the car I selected was very well prepared. No problems or unpleasant surprises. I have known Brian Gideon both personally and professionally for many years. He is a first-rate, stand-up guy. He runs a great business, sells clean, low mileage cars and treats his customers fairly and with genuine concern. 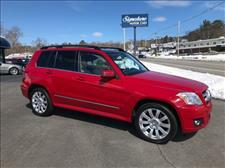 I have purchased at least 6 or seven cars from Signature Motor Cars in Topsfield Mass. I have never had anything but a positive experience here. Their inventory is top notch, pricing and trade in values are fair. If he doesn't have the car you want on the lot he'll find it for you. I've also recommended this dealer ( and Brian Gideon, the owner) to many of my freinds. Not a bad experience amongst any of them. Too good to be true? Shopping for a used car, heard about signature from a colleague. Found them to be straightforward and to the point. Everyone we dealt with was top notch. 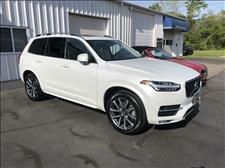 Highly recommend them to anyone looking for a quality high end vehicle. Not your average used car buying experience. I've bought and sold almost twenty cars with Brian Gideon's Signature Motorcars. A delight in a often maligned trade. Always great advice and overnight financing, even when he first started in Salem 25 (or is it 30?) years ago. Always fabulous cars in fine shape. And a secret... he can find anything if your dream isn't out front. We have personally known Brian for over 25 Years, from the effort of an issue with a Benz Wagon, or what we should purchase for a company van, Brian has been there to assist! !Financing is an ease, personally love to swing by there to see what he has on the front line!! You will not go wrong with SMC!! We have bought several cars from Brian and have never had a problem. 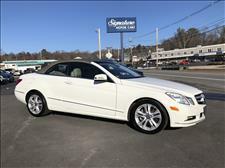 Brian sells very reliable used luxury cars and has them looking brand new. He is trustworthy and goes out of his way to be sure you are happy. We have recommended him to friends several times who have been happy with SMC also. I have purchased several cars from Bryan and wouldn't go anywhere else. His cars are beautiful , his service is great , and he is fun to work with. Bryan was recommended to me by friends and I have brought my family and friends to him. I would recommend Signature Motors to anyone looking for a good buying experience. Four vehicles ago were purchased at SMC/Brian Gideon. And to my surprise, I didn't have a chance to play "The Car Game". You know what I'm talking about... no more aggressive salesmen...no more let me talk to my boss tactics and no more hearing the pitch for an extended warranty. Walking the SMC lot for the first time was a pleasant experience. Brian was helpful, knowledgable and sincere from the get go! That's why, I returned again, and again, and again. Do yourself a favor, head to SMC when you're ready to purchase a luxury car of your choosing...ultimately you will drive away fully satisified, knowing SMC is THE REAL DEAL!! 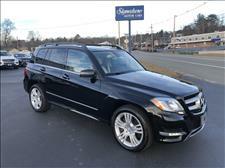 Have not only purchased cars for the wife and myself, I have recommended Signature Motors and Brian to several friends. Brian is the ultimate professional, tells you the truth, and is a man of his word. A pleasure to work with. I have never heard anyone say a negative word about Signature Motors or Brian. Wouldn't think of purchasing a car anywhere else. I've bought 3 cars from Brian, BMW's all, every 3 years. His cars are clean, reasonably priced and the service, unparelled. At 68 years, I have no time for cheesy cars or breakdown issues. Brian's inventory of recent vintage quality vehicles, most still under warrantee, have not failed me. Brian takes his business seriously; he builds long term relationships based on value. He truely wants you to have a positive experience. My wife and I have purchased 5 cars from Brian over the years, and likely will find another one in our future. All were great examples of clean, well kept Mercedes (our target brand), and I even had to pass on a few great ones (like the Rockefellers' MB Wagon from their place on the Hudson - yes, those Rockefellers). Brian always seems to find choice, premium vehicles. I have personally known Brian for over twenty-five years both business & personal. He runs what I consider the best pre-owned dealership I have ever been to. Brian is one of the fussiest people I ever met. His vehicles are very carefully chosen & serviced extremely well. He has been doing this for many years with hundreds of happy customers like me. Most of his customers service their vehicles with him as I do at his service facility out back. His team is very honest and knowledgeable. 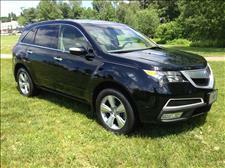 I have referred many family and friends to Brian and they have been more than pleased with their vehicles. 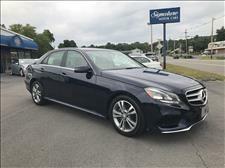 If you were in the market for a high-end pre-owned vehicle I would not hesitate to do business with Signature Motor Cars. We purchase all our vehicles from Brian and we have never been disappointed. 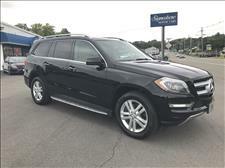 Over the years we have purchased 2 SUV's and 4 sedans, all great quality cars. I have sent many friends & family to Brian because he is easy to do business with and stands behind everything he sells. I will buy my next car from Brian as well! Brian was professional and helpful. He stocks an impressive selection of like new, low mileage cars and the purchasing process went very smoothly. I'd easily recommend Signature Motor Cars. 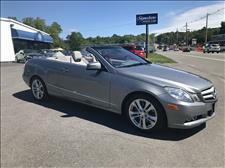 I have been buying cars from Signature Motors since they first opened, and I have to say, I have always experienced first class treatment and felt comfortable in asking questions or requesting a specific make or model of vehicle. I never have the feeling that the only objective is to get money from me, but always have felt and experienced first-hand what a pleasure it is doing business with Signature. The cars for sale and the service are the best, and if you ever have a problem with your vehicle, it is corrected, no hassles. I look forward to doing business with Signature Motors for the years ahead. 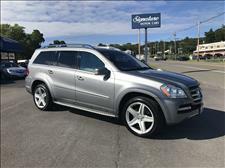 I have purchased a few vehicles from Signature over the past several years. The experience has been second to none every time. Brian's high quality standards and professionalism make the purchase that much better. 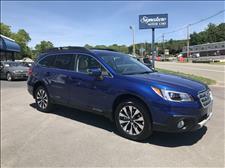 I've bought several cars from Signature and have always been impressed by the great inventory, the condition of the cars and the relaxed, no pressure, all service attitude of Brian or any one else at the dealership. It's a great location and I love checking out the inventory when I drive by. The very best car purchasing experience I have ever had. Brian is a great guy and he cares more about your car than you do. Also, the BMW maintenance people hold him in extremely high regard. My wife and I are thinking about a purchase for her. He is a very rare commodity in a very tough business. My experiences working with Brian in the past and recently are nothing but exceptional. His knowledge and experience are of the highest quality. I have total trust in Brian to work with me in all the aspects of car ownership. I would recommend him to anyone looking to purchase or service a car. I was trading in my Toyota for a luxury car and was recommended to Signature from a friend. Looked all over at different dealers and priced what I was looking for and Brian bet all competitors hands down. He made sure that what I was buying was right for me and not just another sale. He was very organized and made sure that everything about the car was perfect. I have since sent other friends to him as I felt he would provide the same advice and care he did for me. I also get my service there and have been very pleased. Would I buy another car from him? You better believe it, no pressure to buy, but if you need a car see him first. 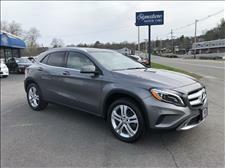 Outstanding sales and service; smooth transaction; Brian is a real professional in every way; can't wait to tell my family and friends...love my new car! 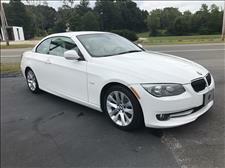 When I was searching for a used 2014 BMW 328xi I studied the market for two months. I was online every night went to some dealerships had people looking at the auctions. 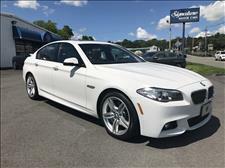 I was patient, basically I was looking for right car at the right price. 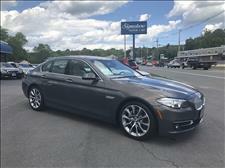 A friend of mine ( who's a life long BMW guy ) told me that signature motors had a 2014 328xi on his lot. When I walked into the dealership I new I was in the right place. Brian made me feel at ease and gave me great information about the car. Lets be honest,its not a feel you usually have when buying a car. Brian does the work when putting cars on his lot. Honest and upfront !! I have been doing business with Brian for about twenty five years, He was a man of his word then and he hasn't changed at all. He couldn't sell you a bad car because he doesn't have one in his inventory. If anybody is looking for a great late model used car it would be hard to beat Signature Motor Cars' whole package... price, service, and attention to detail. I highly recommend Brian Gideon and Signature Motor Cars. Working with Brian was the best automobile purchase I have ever had. He arranged for all aspects of the sale from RMV to the bank. His selection of vehicles, although smaller then much of his competition is second to none. Every vehicle stands out and customers want to take them home. That fact coupled with Brian's demeanor makes for repeat customers. I am not a repeat customer yet, but next time I'm in the market for a quality vehicle I'll return to Brian at Signature Motors. I have bought 3 cars from Brian over the past 12 years.Also have sent well over 10 more family/friends to buy .Each time was a pleasure as we all know with most dealerships is not the case. He has nothing but top quality pre-owner vehicles on his property. If there is anything wrong or needs to be fixed/repaired after the sale it is rectified without a question.Brian goes over and above what anyone else would do. He prides himself in building satisfied customers not just sales. His pricing is fair and the process is painless. Why would you go anywhere else !!!! Excellent and courteous service. Brian and Paul are both men of integrity and honesty I would highly recommend both buying and having your car serviced at Signature Motors. 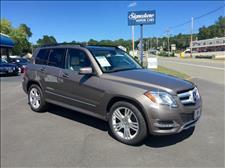 It's always a pleasure to do business with Brian at signature motors in Topsfield. His cars are always high -end and and always the best selected vehicles that you could hope to look at. I have purchased two cars from him and I am looking for a third right now ! He makes the buying experience a real pleasure. I recently purchase a car from Brian. I can tell you I am now a customer for life! Service is A++ and the cars are in terrific condition. I was very impressed and have mentioned Signature to everyone! You have to check Signature out before you buy a car anywhere else. I have bought several cars from Brian over the years. I think the most important part of my experience with him is that he cares. 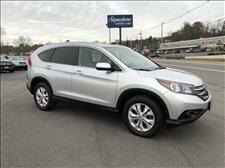 He cares about not only delivering a top notch product, but a car that is best suited for you. He is passionate about his cars. He is passionate about creating the best fit possible. I can go anywhere to buy a car, but I only go to Signature Motors. The minute you walked in the door you got treated like he knew you forever! Brian went above & beyond! I just mentioned one of the tires looked worn & I got four new ones ! I'll never shop anywhere else again !!! Brian is well versed about his product line and the car I purchased was fully serviced before delivery. When a tire imbalance was noticed on a pre delivery road test he postponed delivery until the next day when a new tire was delivered. He stands by his product and I would recommend his dealership to anyone. Truly a professional who eases the anxiety of car buying. My family and I have bought several cars from Brian and each experience was fantastic! He is extremely knowledgable and a huge asset to have help anyone through the car buying process! Dealing with the owner Brian was a dream way to buy a car. He is both personable and well versed on any car he sells. He tells it like it is and you trust that he will follow up after the sale. I lost one of my keys when moving and called Brian. He ordered the key at cost and it was as always fun talking to him and catching up. Once you buy a car from Brian you won't go anywhere else. There are a lot of car choices out there but give me honest customer service any day. He has been in business for years so when you go back he will be there to greet you with that witty smile. I highly recommend Signature Motors. This was the second car we have purchased from Brian and it was another great experience! He is the most knowledgeable, personable and honest person you will ever deal with. It is truly incredible how easy he makes everything and how much he values his customers! We would HIGHLY recommend him and sincerely hope anyone who reads this goes to see Bryan before going anywhere else. You will be glad you did! My second vehicle purchased, I had the first one for 12 years. Hopefully the second vehicle will last at least as long. 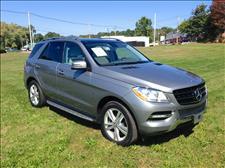 The dealership has only top quality vehicles, mostly Mercedes Benz. Service is another plus, is done right there. 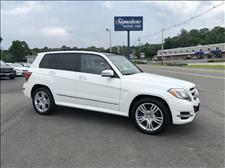 I highly recommend Signature Motors to anyone searching for a quality vehicle. We just bought our second beautiful car from Signature Motor. Brian and his staff are so attentive and helpful. They are a pleasure to deal with. The cars here are all top quality, mint condition and low mileage. 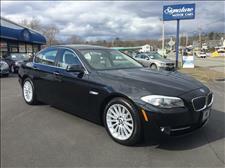 Brian helped my Dad find a BMW 535i Xdrive. The experience was both easy and satisfying. 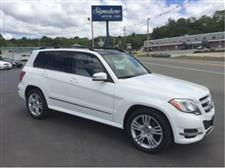 I would easily recommend Signature motors to all my family and friends. Bought pre-owned Ranger Rover in 2014 from Signature Motors. It was my first time buying a car from a used car dealer and had initial doubts. 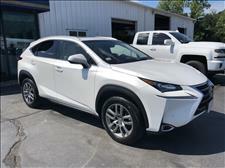 However, when I met Brian Gideon, he was very helpful and ease my doubts as he was able to present carfax report and the entire history about the vehicle. Additionally, he was able to help me obtain a loan at very very low interest rate. I believe it was 2.9% at that time. The car runs great to date and I love the experience I had with Brian at Signature Motors. I would strongly recommend Brian! He's friendly, resourceful and very professional! Brian is the most patient & knowledgeable dealer I have ever met. He purchases nothing but the very best vehicles available . He personally handles all the sales & any customer service related items himself. A tremendous attention to detail in every aspect of the sale . I have purchased at least 5 vehicles from Brian over the years & never experienced any issues with a single vehicle . He takes all the fear out of going to the big dealers & treats you as if you are his only customer .I have recommended Signature Motor Cars to family & friends who also have had great experiences ..
Brian listens to your likes, dislikes and tries to accommodate as best he can. There's never any pressure. I particularly like that he recognizes that your time is as important as his. 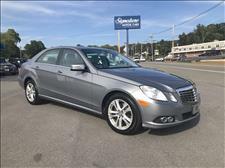 Brian was very knowledgeable about his cars which was very helpful in the process of purchasing my first Mercedes Benz. The car is impeccable which is clearly where Brian's standards are at ! I am happy to say Signature Motorcars is my dealer. Brian has sold me and my family 7 cars. Every one was a gem. 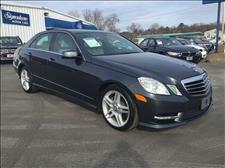 Save your time and see Brian Gideon for a quality, high end used Mercedes, Lexus, BMW ETC. 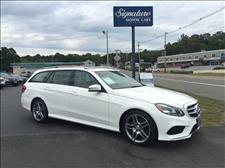 I Have Been Purchasing Vehicles For Both Me & My Family From Brian At Signature Motor Cars For Over Twenty Years . He Is Such A Perfectionist The Vehicles Are Very Hard To Tell From New . He Has Such A High Attention To Detail I Have Never Seen Vehicles Look Like His Anywhere . 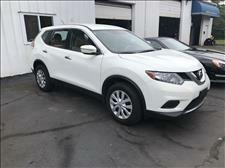 We Have Purchased Several Vehicles From Brian And Have Sent Many Friends And Family To Do The Same . Every Experience Has Been Fair And Very Honest Dealing With Him. 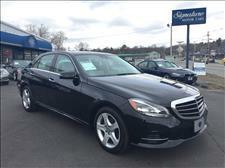 I Would Highly Recommend Signature Motor Cars To Anyone Looking To Purchase A Pre-Owned Vehicle . I have been purchasing vehicles from Brian at Signature Motor Car since they first opened over twenty years ago and I have always experienced first class treatment . I never have the feeling that i was being rushed into making a decision that day , but always have felt and experienced first-hand what a pleasure it is doing business with Signature. The vehicles for sale are the best, and if you ever have a problem with your vehicle, it is alway corrected, no questions or cost . I look forward to doing business with Signature Motor Cars for the many purchases I have in the future . BEST EXPERIENCE EVER DEALING WITH AN AUTO DEALERSHIP. DID NOT BUY A VEHICLE, I SOLD A VEHICLE. I WAS ABLE TO RECEIVE MY ASKING PRICE WITHIN 20 MINUTES OF DEALING WITH THE GENERAL MANAGER. HE WAS VERY PROFESSIONAL AND CO-OPERATIVE . THE VEHICLE THAT HE PURCHASED WAS ON THE TOP END OF CONDITION BODY WISE AND MECHANICALLY. AS A RESULT, WE HAD LITTLE DISCUSSION ON VALUE. I HAVE NO PROBLEM RECOMMENDING SELLING A CAR IN GOOD CONDITION TO THIS DEALERSHIP TO OBTAIN A VERY FAIR VALUE. i MIGHT ADD THAT THEY HAVE SOME REAL FINE VEHICLES FOR SALE AT REASONABLE PRICES. 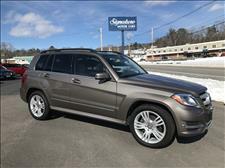 If You Are Looking For A High -End / Luxury Pre-Owned Vehicle , Brian's Your Man ! His Signature Motor Cars Dealership Has A Constantly Changing Inventory & He Knows Mercedes Benz Vehicle Inside & Out . Purchase With Confidence; You Will Be As Happy As I Am With My Vehicle . I have bought 3 cars from Brian. First two were/are great cars. I am expecting the same performance from the one I just bought. Will certainly return to Signature Motor Cars when I'm in the market for my next car. 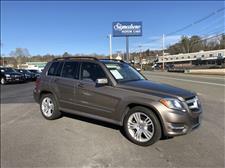 I have been buying high end used cars for four people for 27 years, many different dealers, many different cars. This was my first time with Signature, and it beat all the others hands down. All I had to do was write a check and drive the car home. I will be back. I went to Signature Motors looking to buy a car and dealt with Brian Gideon. He was incredible to work with. He was so knowledgeable, forthcoming and made my entire experience very enjoyable. I have been to many other dealerships, but none can compare to the all around service and information I received with Signature Motors. I would absolutely recommend anyone looking for a new or used car to go here. You will not be disappointed. Recently bought our fifth car from Brian at Signature Motors. Buying process was quick and easy and the car is in great condition. Brian addressed every detail of the car and made sure everything was in perfect working order. Would certainly recommend Brian and Signature Motors. I am a repeat customer of Brian Gideon's Signature Motor Cars. 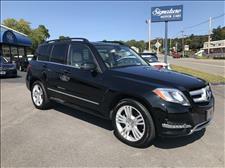 The selection and quality of inventory at Signature Motors Cars is excellent. I know that Brian is a genuine professional and that he values the "lifetime value of the customer". I trust Brian Gideon implicitly - and would certainly purchase from him again. I would wholeheartedly recommend this dealer to a friend or family member. At Signature Motor Cars, Inc. we are proud of the quality used cars we sell and our dedication to serve the needs of our customers. This is reflected in the amount of repeat business we receive. Whether this is your first purchase with us or one of many that you’ve had, you can count on our dedicated sales staff to make it the best buying experience possible.